As more bike infrastructure continues to be developed in Hawaii, biking has become increasingly more viable for Hawaiian residents. Biking tends to be a better alternative to the well-being of our personal lives and our environment. How To Register My Bike? You can register your bike on various locations around the island. Find addresses, phone numbers, and hours of those locations by clicking on "How To Register My Bike?" Bike Oahu: Follow this link for a current and extensive map of bicycle routes around Oahu, including Suggested Routes for Novice Bicyclists, Suggested Routes for Experienced Bicyclists, and Routes Which Are Not "Bicycle Friendly." Renting a bike is a great way to get around town for a few hours. 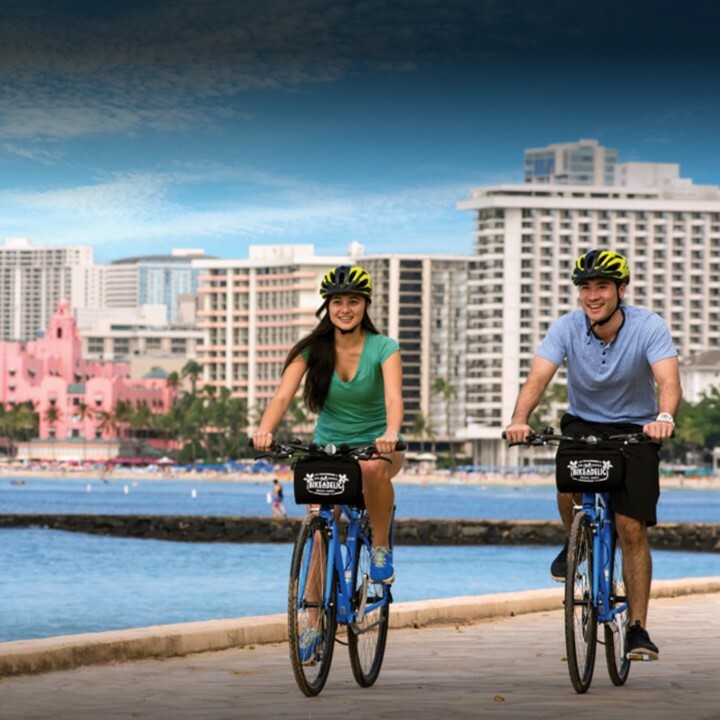 There are many locations around the island of Oahu where renting a bike is easy and economical. You can rent a variety of different bike (mountain, road, etc.) that are well maintained. Renting a bike is also a great way to try out a make and model before purchasing! 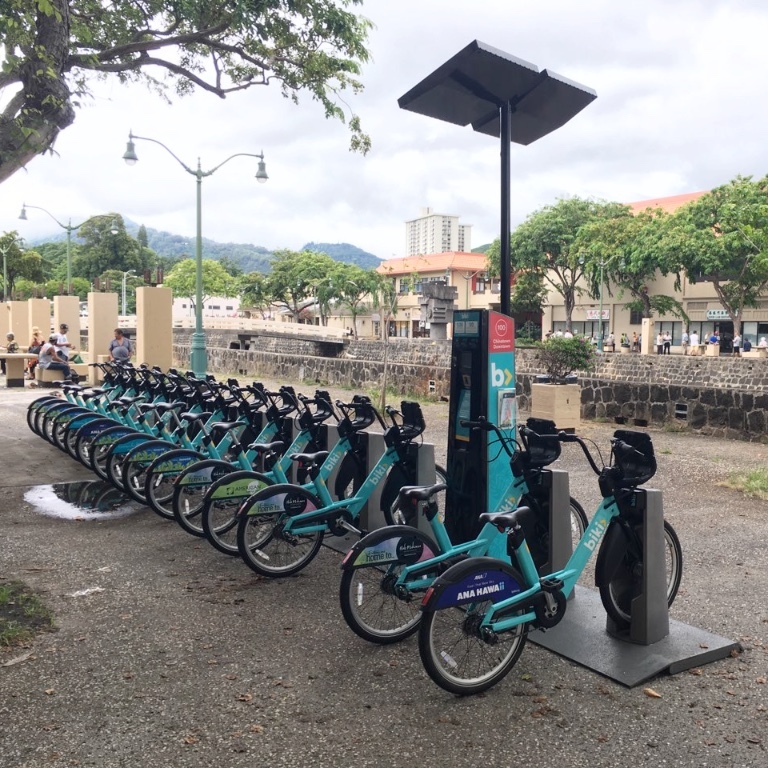 Biki allows commuters in Honolulu to share the use of bicycles that they do not own. This gives you access to affordable transportation while lowering your carbon footprint to zero! You can pay by the half-hour ride, or purchase a long-term pass. As a non-profit, Kailua-Kona bikeshare allows people an alternative to driving. You can sign up as a member or use it for one-time rides. If you think your commute too hilly, electric bikes could give you an extra boost. Pedego bikes offer extended battery range and Smart Bike Technology with Bluetooth connected smartphone app, among other benefits. Safely Connecting the People and Places on Hawaii Island with Pathways and Bikeways. 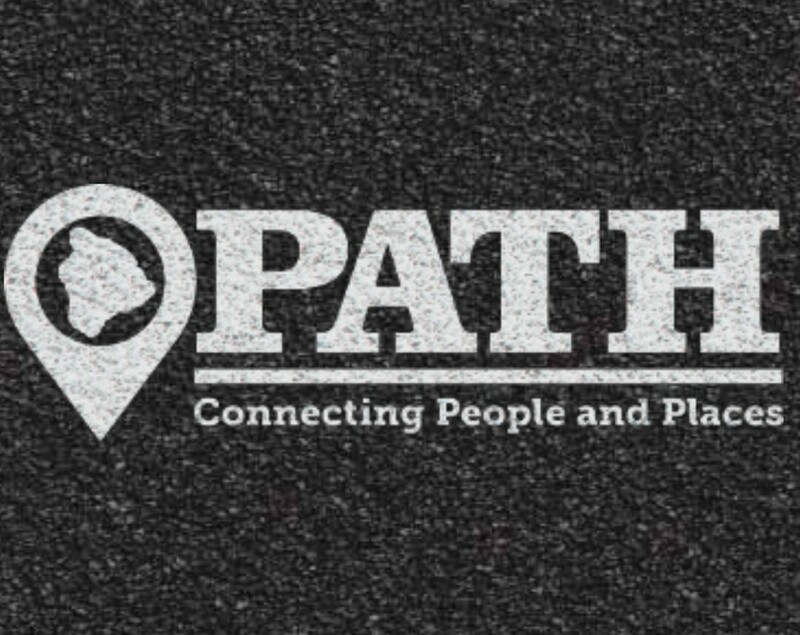 PATH is a pedestrian and bicycle advocacy non-profit organization which started in 1986 and has since worked on . Visit PATH's website to learn more about events, programs, Hawaii Island's bike map, and how you can take action. Safe, convenient, and fun opportunities for children to bicycle and walk to and from schools. The Safe Routes To School National Partnership's mission is to “advocate for safe walking and bicycling to and from schools, and in daily life, to improve the health and well-being of America's children and to foster the creation of livable, sustainable communities” (Visit their About Us page). Safe Routes To School Infrastructure Grants information.